Ukrainian Economic Development and Trade Minister Pavlo Sheremeta has explained his resignation as being due to the appointment of a trade representative without his consent. "The reason is the violation of management principles and a resolution that the minister himself nominates candidates for his deputies. The trade representative has the status of deputy minister," he told reporters in Kyiv on Thursday. 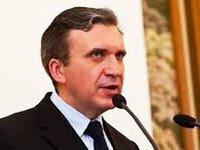 The Cabinet of Ministers on August 20 introduced the institution of trade representative in Ukraine and appointed government commissioner for European integration Valeriy Piatnytsky to this post. Sheremeta added that the reason for his decision to resign was the "inability to work with yesterday's people." "I tried to fight yesterday's people for six months, and yesterday a number of red lines were crossed, to which I have to respond," he said.